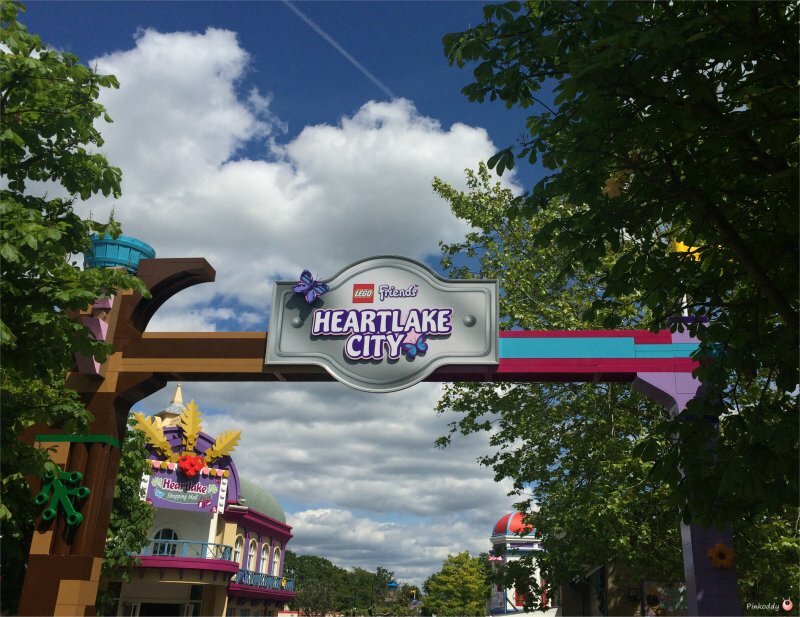 LEGOLAND Windsor have now officially opened LEGO Friends Heartlake City. I am a huge LEGO Friends fan and so was delighted to be invited around to have a look. This also coincides with the new LEGO Friends rooms available in the hotel. There is a Heartlake Shopping Mall (which I was lucky enough to receive for Christmas), Olivia’s house, Heartlake Harbour Arena, Mia’s Riding Adventure, Heartlake News Van, Heartlake City Express, City Walk Pizza & Pasta, Heartlake Café, Ice Cream Parlour, Starstruck Popcorn shop as well as guest services and information, first aid, toilets and baby changing facilities. The Heartlake City area itself is very recognisable as being based on LEGO Friends, with its colours and attention to detail including animals, butterflies and flowers. Of course you will find the LEGO Friends Emma, Andrea, Stephanie, Mia and Olivia around both in LEGO form and in real life in the all new amazing harbour side show – LEGO Friends to the Rescue! My sons loved watching the show as the familiar LEGO figures came to life in front of their eyes. Everything to love about LEGO Friends was brought to life in the performance – including friendship, singing, dancing, action, a great story and even dolphins. The boys did particularly like the parts nearer the end when they got wet (so avoid the splash zones if you don’t want this!). You also get Friends at the end of the performance and they even happily obliged letting my son taking my photograph with them. Olivia’s House was very popular with the boys with plenty of things to interact with and/or light up. There’s different rooms of the house with different things to do. In the kitchen, for instance, there is a sink that you can touch the screen to wash the dishes, dressing up that appears in a “mirror” in front of you, models that you can change the appearance on the tablets provided. Of course there’s all the details again – such as a bed, a cork board with map of Heartlake City and postcards, a blackboard with ‘to-do list,’ a big LEGO camera, and LEGO bricks to play with. It then leads into the Heartlake Shopping Mall which has a nice array of LEGO merchandise (not just LEGO Friends). Mia’s Riding Adventure was a huge hit with my boys. Unfortunately there is a minimum height requirement of 1.2m so the youngest was not yet able to go on it. You basically sit on a horse that faces outwards of a circle. Then it spins around going higher into the air as it goes backwards and forwards (whilst still spinning) up and down a ramp. I am scared of heights but found this ride to not feel scary, and I felt secure in the harness. The Heartlake News Van looks just look the playset and gave my boys the opportunity to use the green screen, so that they could appear as reporters. Unfortunately their tops weren’t really the right colour for this so do think of avoiding wearing shades of green if you want to take advantage of this. 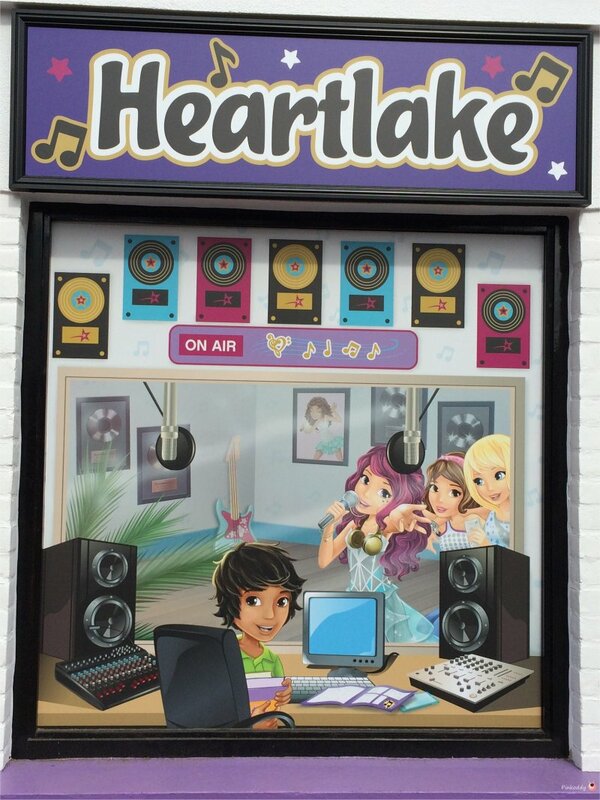 I also noticed a building with a sealed door that just looked like decoration labelled as “Heartlake Sounds” – in the picture there is a boy and a girl singing with pink hair. City Walk Pizza & Pasta is a lovely all you can eat buffet. The queue looked pretty big out the door when we arrived but we were very quickly seen to our table. There is also the option of salad and refill drinks. The food was constantly being replenished, the staff friendly and polite, and it tasted nice. We got discount with our Merlin annual passes and the children would have been free if we had eaten after 3pm. The children also received a LEGO Friends pop badge with their dinner. We had refill drinks bottles (which also have a pink LEGO Friends version) throughout the day – these are £7.50 each or 2 for £12. There were plenty of refill stations and a variety of drinks the children could choose from to regularly top up their bottles. For a lighter lunch there’s the Heartlake Café which serves sandwiches, fruit, drinks etc. There’s also Marina hotdog stand. Not forgetting the Ice Cream Parlour and Starstruck Popcorn shop. Last but no means least is the Heartlake City Express, a gentle train ride around the park where you may get wet. The station has been repainted in LEGO Friends colours, otherwise this old favourite remains the same. From the ride you can see the newly revamped for 2015 LEGO City where the driving school has a fresh new look. 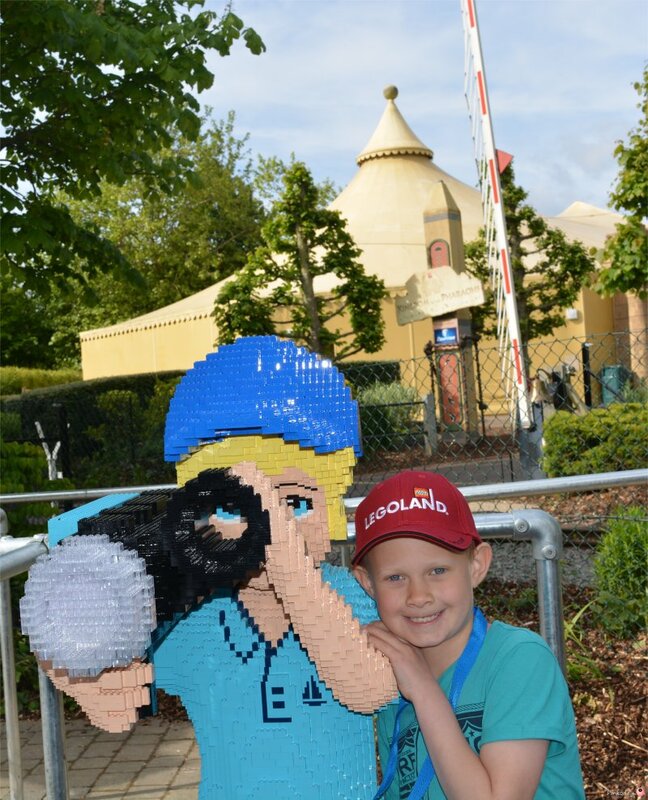 I took my three boys ages 6, 7 and 11 to visit the new Heartlake City at LEGOLAND Windsor and the all loved it. 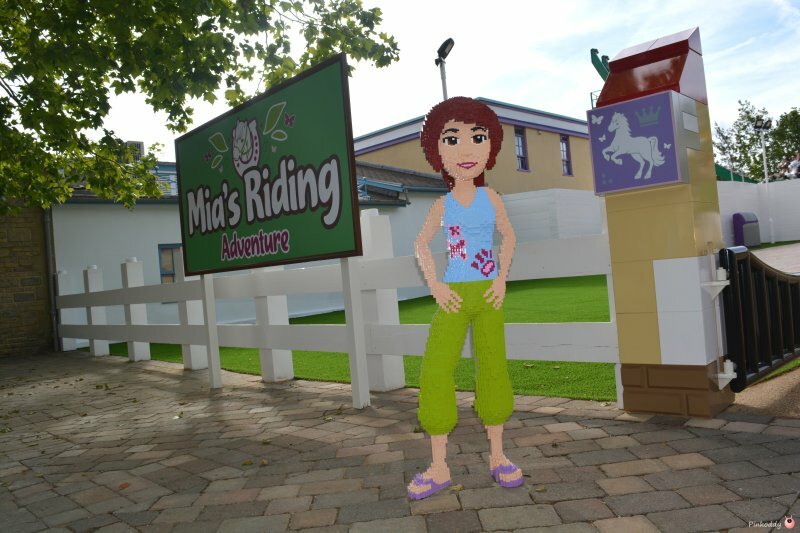 The oldest two enjoyed Mia’s Riding Adventure the most and we hope our youngest is tall enough to enjoy it soon too. 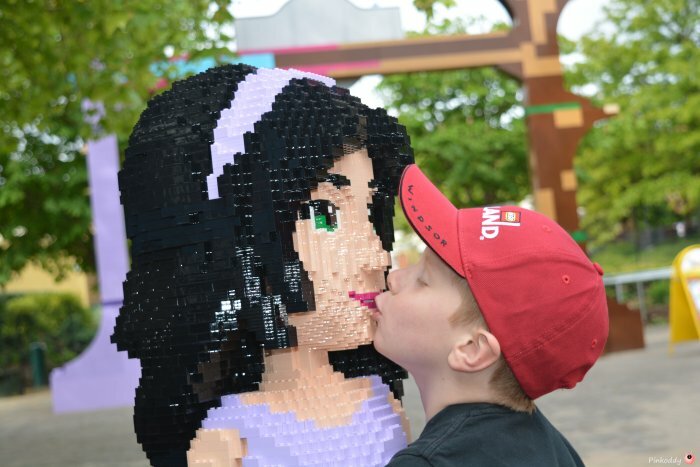 My family and I were invited to see the new Heartlake City and watch the new LEGO Friends show. We were compensated with LEGO loot, merchandise and free entry and parking into the resort (although we are also Merlin Pass holders). All thoughts and opinions are my own. What a great post Joy and your photos are fantastic! It was such a lovely day, wasn’t it? This looks like a fantastic day out and a great addition to an already brilliant day out! that looks great and Erin would love it. Adds to list of places to visit in the summer. i LOVE that last photo Joy! !